Are You Or Someone You Love Struggling With Food Allergies And Anxiety? 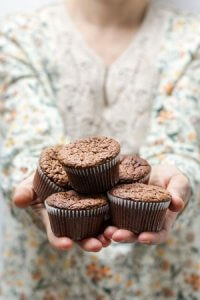 Do you become overwhelmed thinking about situations that involve food? Have you or someone you love had an allergic reaction that caused extreme fear or panic? Do you find yourself perpetually worried this could happen again? Living with food allergy anxiety can be an isolating and frightening experience. You may have restricted your activities or withdrawn socially to avoid allergies and anxiety. Perhaps you’ve even eliminated safe foods due to the fear of cross-contamination. When you encounter food that could cause an allergic reaction, perhaps you experience physical stress symptoms, such as heavy breathing, rapid heartbeat, sweating and more. These symptoms can make identifying the distinction between allergies and panic attacks difficult. If you are a parent of a child with food allergies, you may find the weight of keeping your child safe all-consuming. You may be exhausted by the ongoing education you must provide regarding your child’s condition. You may worry about accidental exposures at school or during everyday activities. And, you and your partner may not share the same level of worry, which causes upsets in your relationship. Perhaps you’ve noticed your child’s fearful or shy behavior around food. It may seem like they need constant reassurance. Or, they may be missing out on important opportunities because they’re afraid of exposure. If you or someone close to you experiences panic attacks or extreme food avoidance, debilitating distrust of food preppers or intrusive thoughts of exposure, it may be a sign that additional support is needed. At this point, you may think, if I could just stop worrying about allergic reactions all the time, life would be easier. If you are struggling with food allergies and anxiety, you are not alone. Whenever something threatens the well-being of you or your family, your instinctual stress response is triggered. If an allergy threatens your safety or you have experienced an anaphylactic reaction, your body’s likely on high alert around food that poses the threat of danger. Extreme stress is often uncomfortable. However, not all anxiety is bad. Anxiety is our body’s way of reminding us to take precautions—that there are dangers to watch for. Stress and anxiety can manifest in many ways, from persistent low-level worry to panic and dread. Food Allergy Stress can vary based on age. Young children and elementary aged kids are often keen on the risks involved with food allergies. This is partly due to their need to rely on others for safety. Because they have less control over their environment, new schools and birthday parties often pose challenges for youngsters who want to fit in and have fun. Teens are more independent. They want to be with friends and not under a parental thumb. Still, managing a life-threatening condition is often overwhelming. Because it’s an age where they try new things, meet new people and take risks, living with a food allergy can be debilitating. It can cause teens to avoid social activities or important opportunities for growth. As the parent, you may constantly worry for your child’s safety and wellbeing. The initial diagnosis– the gravity of the condition and the responsibility of managing it — is a lot to take on. Once you find your footing, you may notice another wave of anxiety when school begins, choosing a new summer camp or dealing with birthdays. As your child grows up and you transfer more responsibility to them, new fears may emerge. When they move out into the world as a young adult, you may wonder if you have prepared them to handle this responsibility. 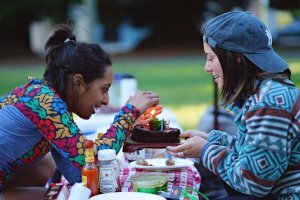 As an adult, food allergies can put a damper on your evenings out with friends, dates and others. Even if you’ve dealt with a food allergy your entire life, you may be particularly challenged now. The good news is with the right skills and resources, you can learn how to cope with food allergy anxiety and get back to enjoying everyday life. Therapy can help you regain control of your life. In an emotionally safe space, we can look at your fears and work to understand what’s fueling them. At Brave Minds, we understand the magnitude of living with a food allergy. We’re here to help you balance it with a full, satisfying life. During our sessions together, we work collaboratively to lessen anxiety symptoms. Through education, precautions, planning and problem solving, it’s possible to feel safer in your world. With relaxation strategies, like mindfulness and combating discouraging thoughts, you and/or your child can feel increasingly calm and confident in any given situation, even those that tend to cause panic or dread. Here, we can successfully develop your ability to problem solve, negotiate relationships and communicate your needs. Our aim is to strengthen your ability to manage food allergies so you can foster a zest for life. Our child psychologist and teen therapists are experts in supporting children and adolescents during all phases of development. With proper guidance and support, your child can experience increased confidence and courage to engage freely and playfully. We’re also available to clarify concerns with your child’s school by assisting with creating a 504 plan. Under the direction of Dr. Fawn McNeil-Haber, a psychologist and food allergy parent, we work as a team to understand the unique challenges of living with food allergies. 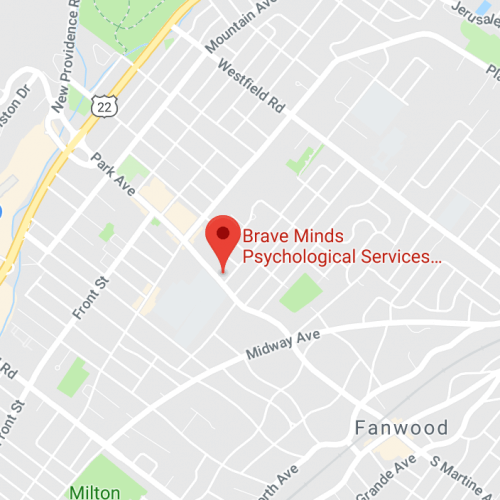 At Brave Minds, we specifically address food allergy related stress and are committed to making anxiety treatment practical and applicable to all. Having a food allergy is a massive responsibility, but it doesn’t need to overshadow everything. It’s possible to navigate these issues cautiously while you and/or your child lives fully. I have good reason to feel this way. Trying to convince me otherwise isn’t going to help. We have no intention of convincing you everything is fine. Your fears are valid and oftentimes productive. And, establishing deep empathy for your particular struggles is a crucial element of this work. Our overall goal is to provide you with tools to manage fears so you can live fully. I have already been to therapy, and the therapist didn’t understand how food allergies cause anxiety. How will this be different? There is a pervasive misunderstanding of the gravity of food allergies. Working with a therapist who is unfamiliar with the challenges can be frustrating. Spending time educating the therapist about food issues takes away from the time you need to discuss your particular challenges. Here, you can come to counseling knowing there is a team of therapists working to help individuals and families specifically overcome food allergy anxiety. Counseling can’t cure food allergies so what’s the point? Living with a food allergy is an ongoing condition that continues to be misunderstood and minimized. The aim of counseling is not to cure allergies, but to create freedom so you’re able to accomplish goals, achieve dreams and enjoy life. You deserve to feel safe in your world. We’re here provide useful tools and help you maintain a sense of confidence, safety and bravery. If you’re interested in food allergy anxiety counseling in Scotch Plains, NJ, please call (908) 242-3634 or use the contact form for a free 20-minute consultation. We are happy to answer any questions you have about how counseling can address your needs.